The question is; What flow is it that you are following? There’s the current of your own life’s energy, and then there’s the flow that the majority of the world operates on; the stream of mass consciousness (the limited life), and it’s your level of awareness and ability to be true to yourself that your happiness in life depends on. 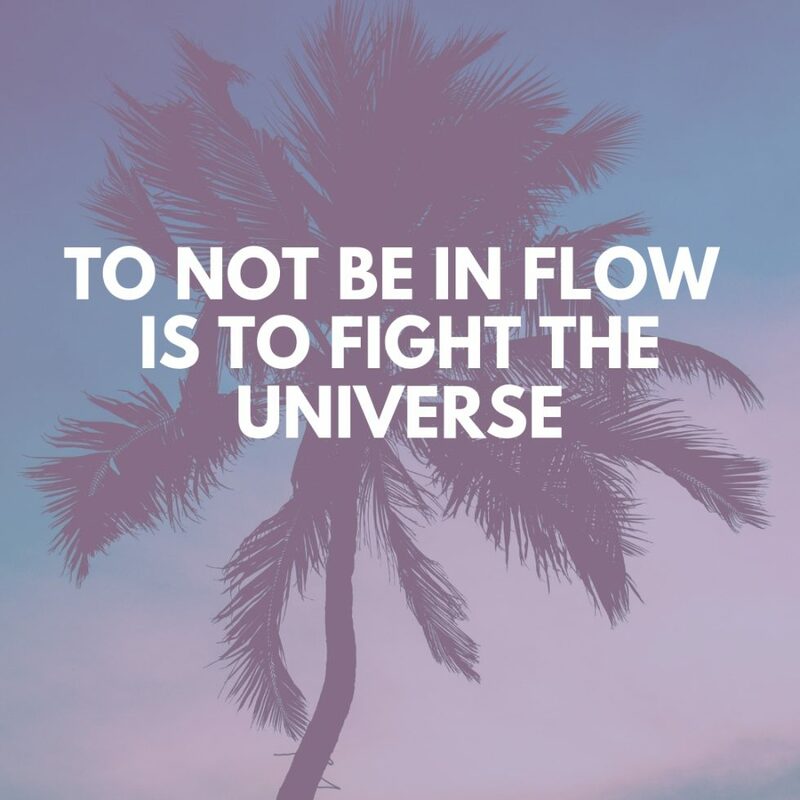 When you are true to yourself and stay centered in the flow, the good in life comes to you naturally, so it’s not so much about ‘getting things’ as it is about achieving the consciousness through which the things will flow forth to you (are attracted to you) and through you (expressed/manifested into the/your world). 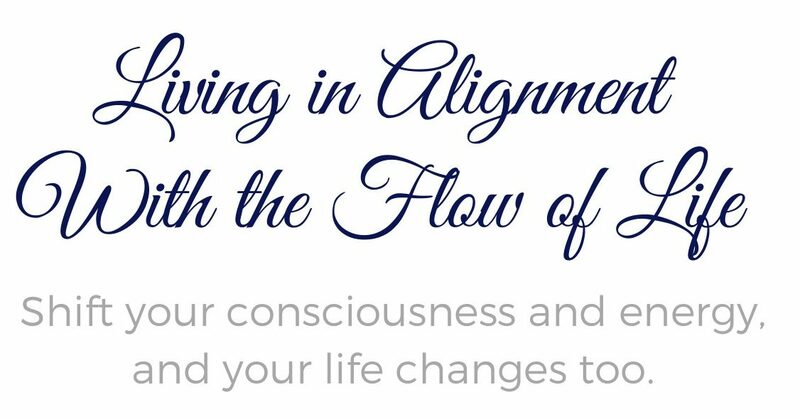 By living in the flow of Life you come to live from a higher level of awareness and when you do, you can’t but love life, because now you have moved from an fear-based (unconscious) living into alignment with the natural and harmonious flow of the Universe. When you get into the flow the true direction of your life unfolds naturally and your awareness (and intuition) gets heightened about everything around you and in your life experience. Why they happened and why they happened the way they did and you’ll see how it all served the higher purpose, or the bigger picture. Things make sense, you understand them, and you can see so clearly that every little and big thing is connected with precise intelligence with everything else and means something in relation to one another. In the flow you’re able to read the Universe. You can see the patterns with clarity, how things are related, the function/purpose of them, why things (people/events/things etc) are coming and going into and out of your life and so on. There is a knowing of the significance of this moment ‘in time’ to something else somewhere in the larger patterns of things. Somewhere in the tapestry of Life this moment is perfectly weaved into some other pattern, and everything occurs in perfect timing even if time (as such) is not relevant in the big scheme of things. 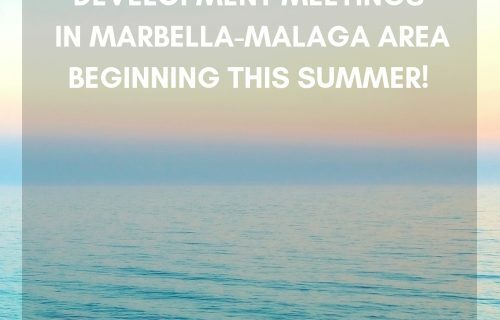 There’s a perfection of timing that has nothing to do with ‘time’ as we usually know it, it’s just natural seasons and cycles that are seamlessly transitioning from one phase to another. Living in opposition to this flow, to the universal flow of Life, you often experience life as an uphill struggle. But when you step into the truth of who you are and you trust your intuition (which is your guide to your flow) you honor and allow your highest potential to be expressed and manifested into the world. Going against the flow leads to nothing but unhappiness and struggle. It’s only the false self (the conditioned, limited ego-self) that goes against the natural stream of life. In reality life moves forward harmoniously, and you can choose to move with it, and when you’re aligned with it, you’re linked to the whole cosmos and move (flow) as one with it. Life’s natural tendency is always towards greater and greater measures of love, truth, beauty and abundance, and the key to getting aligned with the flow of your own life’s energy is self-awareness and trusting your intuition. Ready for a BIG shift?